The word-of-mouth business garnered a cult following online - enough for businesswoman Pinky Cole to turn the "ghost restaurant" into a food truck, and now, a full-fledged restaurant. ATLANTA — What started as a vegan junk food "ghost restaurant" is now a permanent part of Atlanta's food landscape. 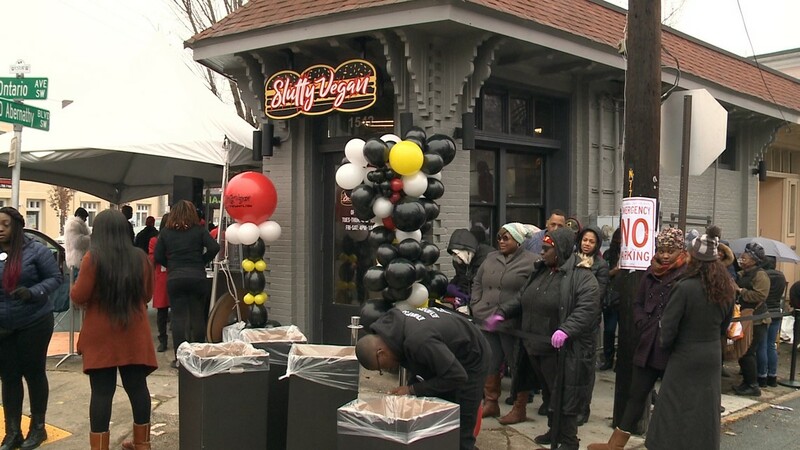 On Sunday, Jan. 13, Slutty Vegan cut the ribbon for the grand opening of their new brick-and-mortar location at 1542 Ralph David Abernathy Blvd. in Atlanta. 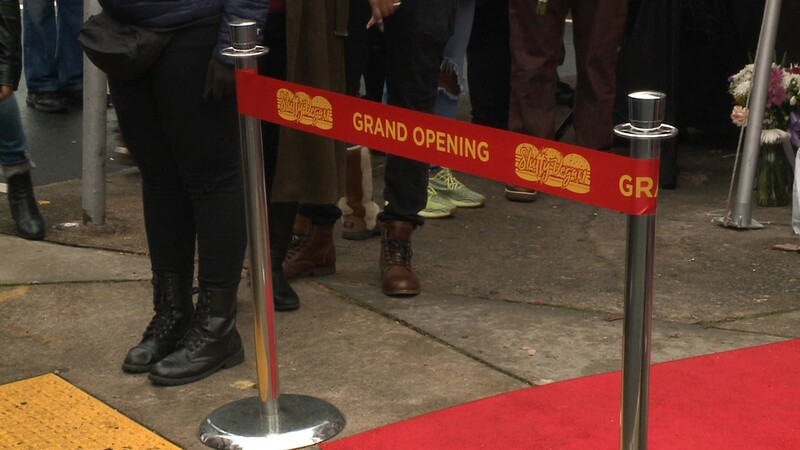 The restaurant, which specializes in 100 percent, plant-based vegan burgers, initially was just a delivery service powered by an Instagram account with an eye-catching name @SluttyVeganATL. A customer would send a direct message to place their order for a cook to prepare before arranging to meet the customer for delivery. Soon, though, the word-of-mouth business garnered a cult following - enough for businesswoman Pinky Cole to turn the ghost restaurant into a food truck. "We've been accelerating so fast, but it has been such an amazing roller coaster that we are excited the direction that it is moving," she told 11Alive back in September. That was when Cole's Instagram account had only 12,500 followers. The follow count has only grown since, ballooning to more than 80,000. It's led to the ultimate goal - a full-fledged sit-down restaurant. Cole told 11Alive she launched her restaurant because Atlanta needed a late-night, all-vegan menu of burgers and ice cream. 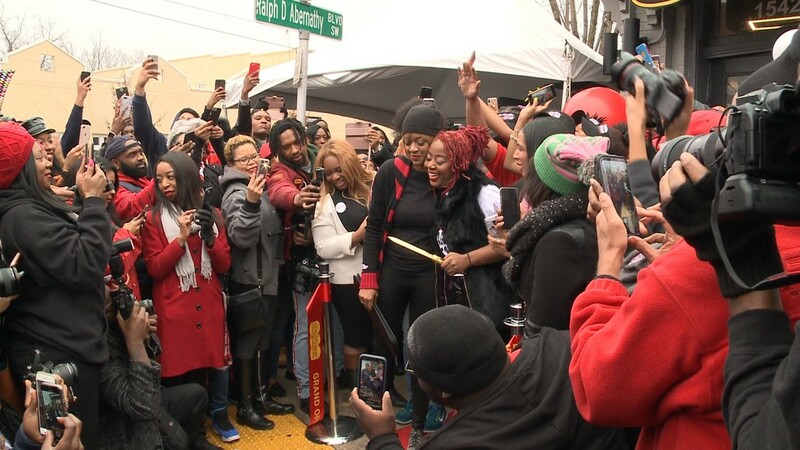 During Sunday's grand opening, Cole said opening the new location and seeing all the supporters who turned up for the first day was an "amazing feeling." 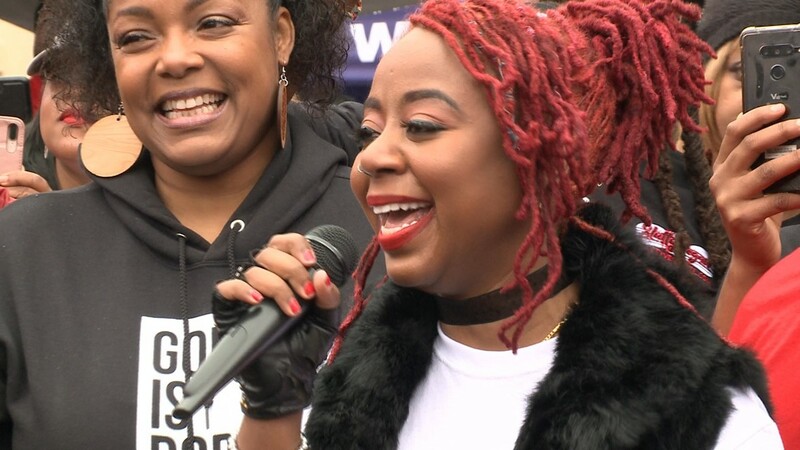 "Never in my 31 years of life would I have imagined that so many people would come and support something that started in a two-bedroom apartment," Cole said. "It's amazing to have so much support from the city of Atlanta, so much support from people around the world from the conception of this idea to now." 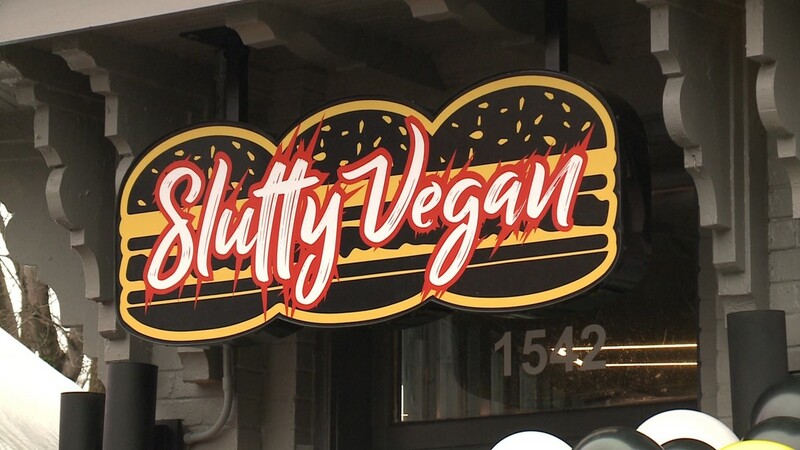 Photos from the grand opening of the Slutty Vegan Restaurant in Atlanta, Jan. 13, 2019. Cole said she feels her business' success rests not necessarily with the product (though there is no shortage of positive reviews on Instagram), but with the positive energy from all involved. 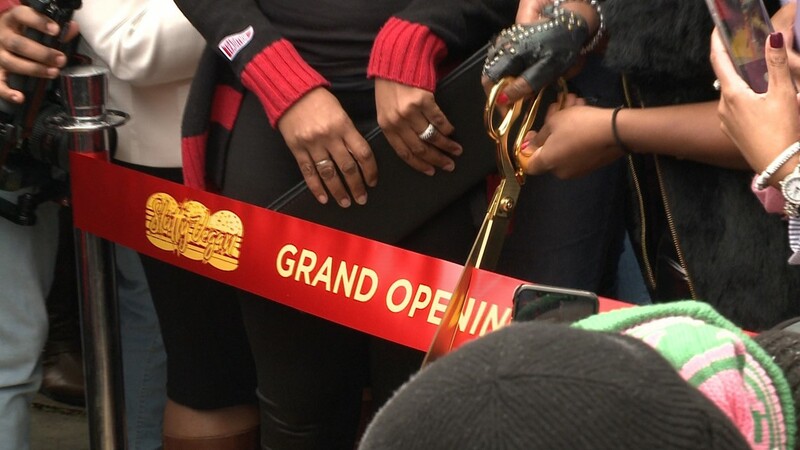 "We're excited to come to work every day and serve the people and we know that it's bigger than just burgers and fries," Cole said, partly demonstrated by her promise to donate a portion of Sunday's grand opening proceeds to Clark Atlanta University. "We are connecting the culture to something new." 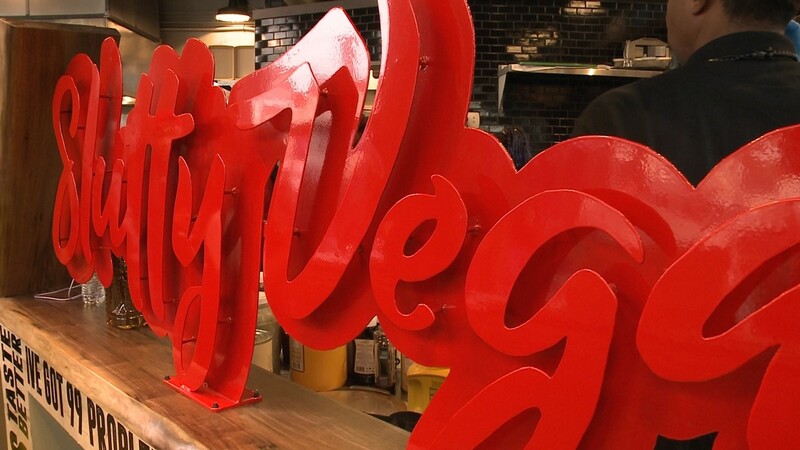 Cole said she also hopes the success of her business can clear up misconceptions about Veganism and its way of life. "For years, Veganism hasn't been something that's welcomed in our community because we probably didn't have the resources or information," Cole explained. "So to see so many people come together in the name of food is such a beautiful feeling." As for those meat-eaters skeptical of a plant-based, meatless burger: "You gotta get sluttified," Cole quipped. "Once you have one of our burgers, once you have one of our sandwiches, it's going to change your mind," she promised. "It may not change you from eating meat completely, but it's going to expand your mind to see and start having the conversation and seeing food in a different way."